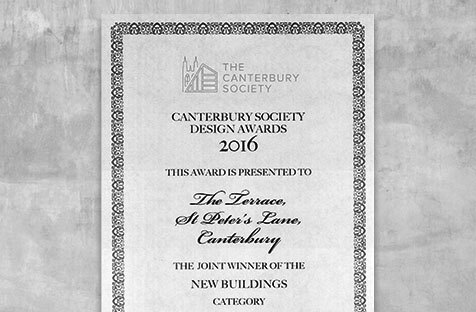 Last week our St Peters Lane housing project won best new build at the 2016 Canterbury Society Design Awards. Presented by TV conservationist Ptolemy Dean, the project was praised for excellent design and detailing and also ‘great brickwork’. St Peters Lane shared the best new build award with the University of Kent’s £20m library extension and the overall award this year went to the community restoration of Westgate Hall.